Hope everyone had a great weekend. I definitely did, and although I missed my screens a bit, I made a point to stash the tech away for a day or two and spend that precious time instead with family and friends. We drove up to the most Northern part of the state, getting outside and enjoying the journey just as much as the time when we arrived. This Thanksgiving, we intended to head to the East Coast, but plans were foiled by a lingering flu. Instead we stayed in California, driving a few hours north from San Francisco to Mt. Shasta. I have lived in California for almost five years now, yet have never been to an In-N-Out Burger. Mainly because I don't eat much eat much fast food...but what a better time to try it out, than on a road trip. 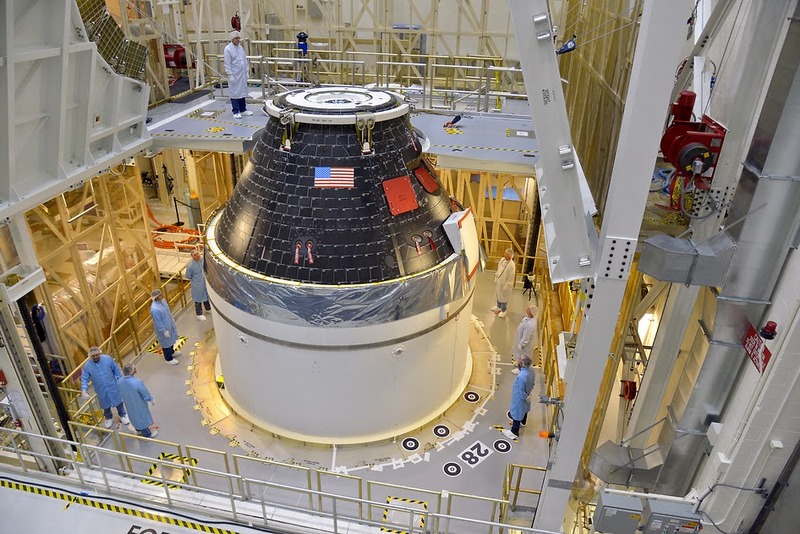 Recently, NASA invited me to come view and blog about the first launch of Orion, which is a spacecraft intended to carry up to 4 astronauts to destinations beyond Earth's orbit. 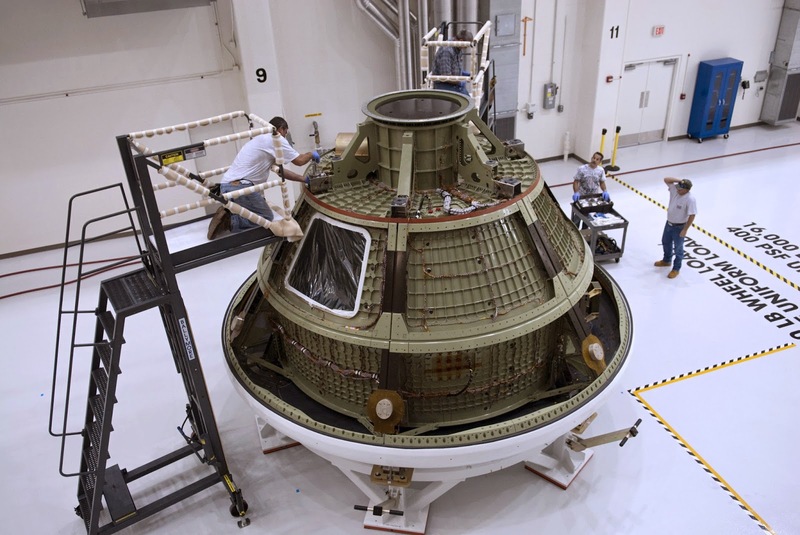 Orion will be the first ship to bring human exploration to Mars and asteroids beyond anywhere we've ever been! 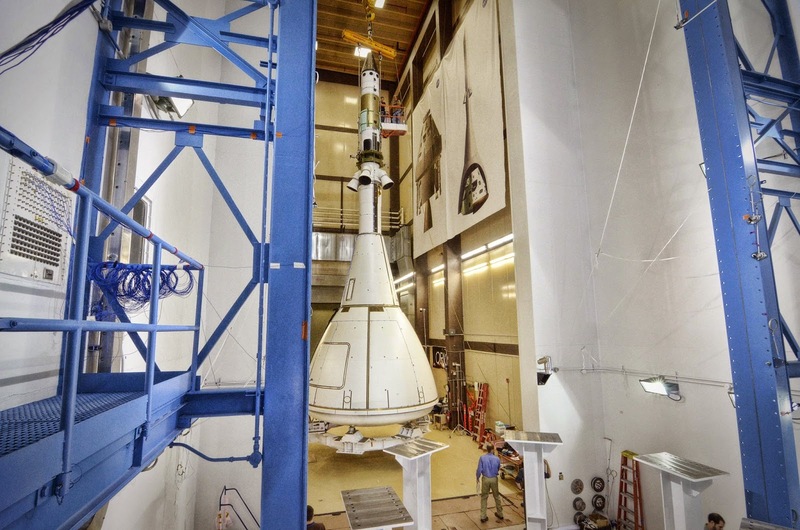 It is scheduled to be launched aboard a Delta IV Heavy rocket on December 4, 2014, assuming all goes well...they tell me this has been a work in progress for over ten years and that anything could still go wrong. Regardless, I am forever optimistic, and so excited to learn about the technologies first hand from the scientists that create them. As thrilled as I am to learn about the spacecraft and what they think lies beyond our orbit, (aliens probably) I am mostly excited to learn about the deep space fashion-technology that is undergoing development, and can't wait to blog about it here. 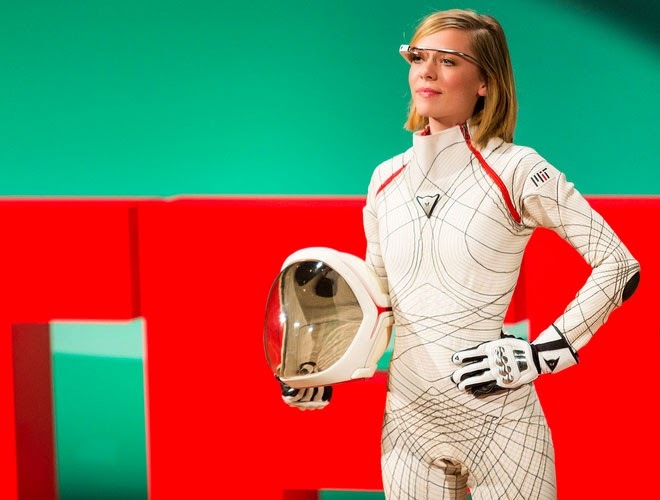 So far, I've been impressed by Dava Newman's thoughts on space-wear. Yes there is such a thing as a wireless printer that doesn't require a battery. 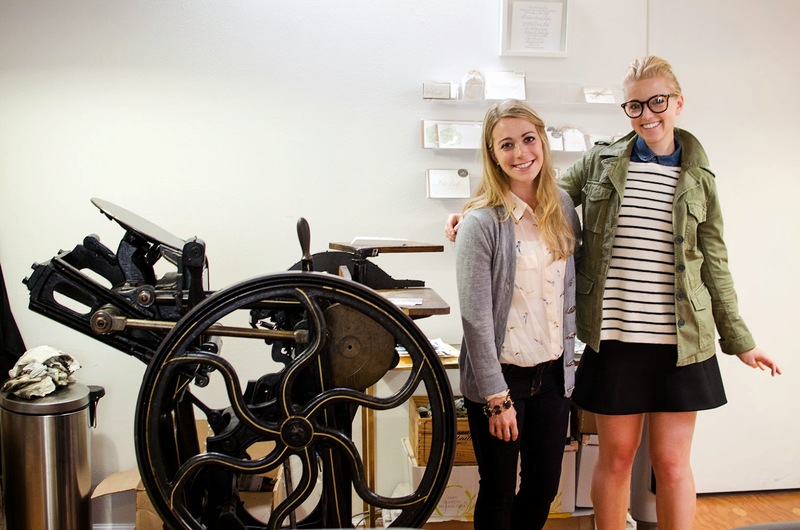 The beautiful treatment you find from letterpress printing uses press machines like this one pictured below, with some dating back to the 15th century. 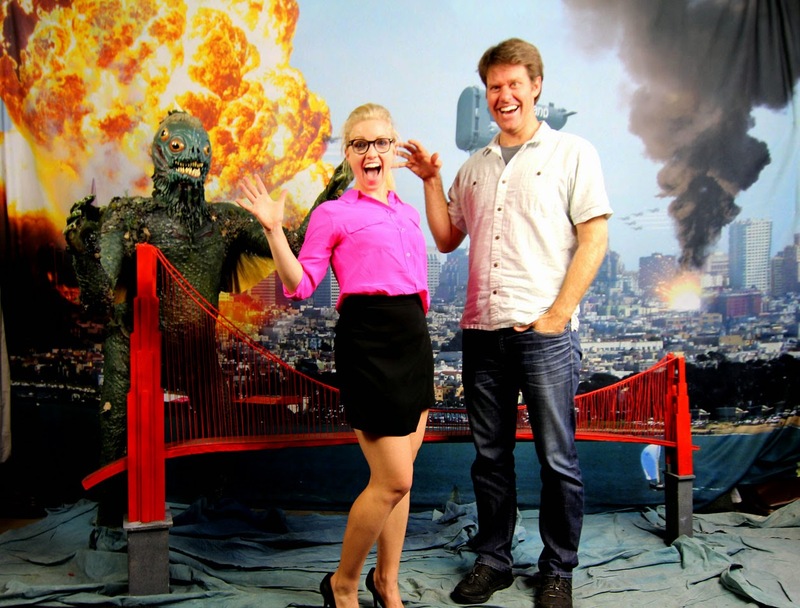 Recently, I visited Liliqoi Studios in Hayes Valley with my fellow blogger and friend Kelly Egan from A Side of Sweet. We are working on some future video collaborations, and wanted to investigate the inner workings of this handcrafted and timeless tradition to see if it was a good place to start. Stay tuned for future Sweet & Sweet Video Collabs! As I anticipate the upcoming grays in the winter sky, I find that I'm really looking forward to it. After all, a little bit of moodiness is not a not a bad thing. It's great for creative inspiration. Did you know, the human eye can distinguish about 500 shades of gray? This past week, I looked in my closet and saw how much gray I have! So naturally, I decided to try wearing it all at once. 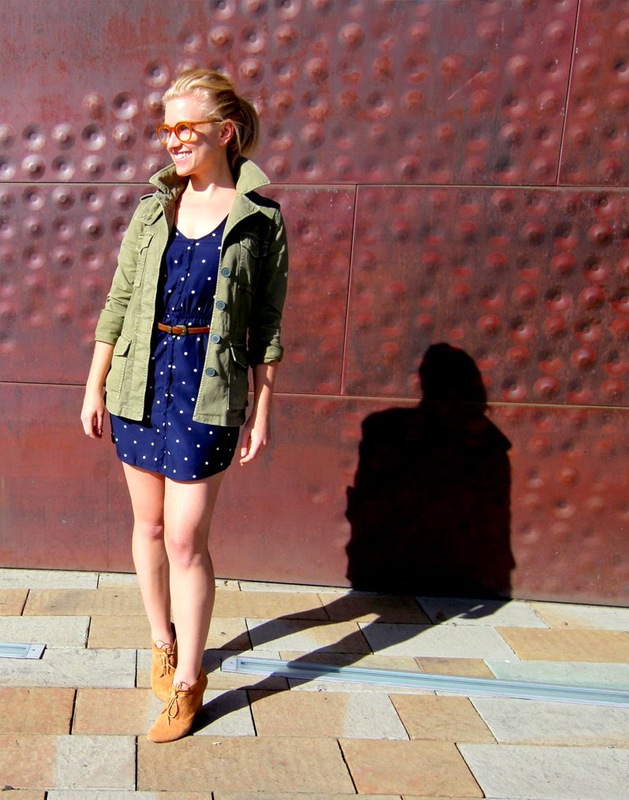 Whenever I wear this polka dotted blue dress, I always feel fantastic. It's made with light, silky material, buttons all the way up to the top, and has a flattering synched waist. You'll never guess how long I've had this dress. There is something new coming this month. 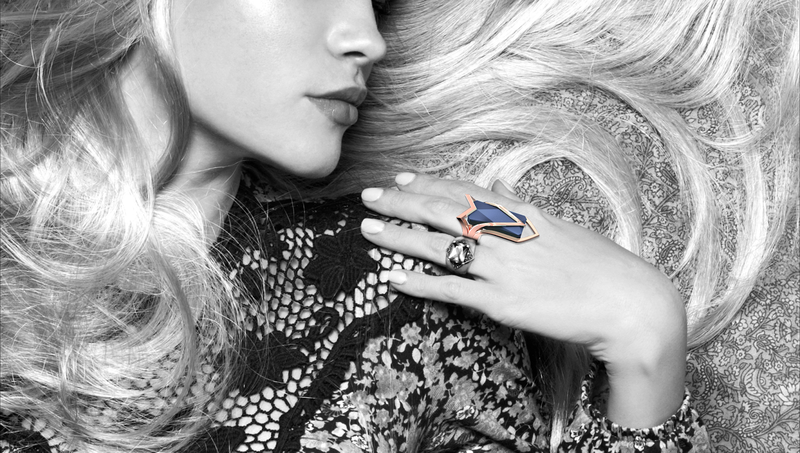 A line of jewelry embedded with bluetooth is not new to the fashion-tech scene, however, this unique form from Kovert is starting to get closer to a fashion-forward approach. Created with special materials that go a step beyond any cheap looking gadgetry we've seen in the past, these designs are something worth keeping an eye out for. Last night I attended a Mobile Monday event at the international mobile company: Orange. The event hosted a panel of companies and entrepreneurs who brought the latest in wearable technology. If you wake up one morning, and you have an inordinate amount of clothes in the closet, but nothing that matches.. what do you do? Try a jumpsuit! Its a quick and easy staple to have on hand for a look that is comfortable, fast, and chic. For an easy weekend look, add some pointed toe flats, grab a reusable shopping bag and you're ready for anything from day to night. For a more professional look, just add heels and upgrade your tote...but don't forget that perfect accessory. Personally, I'm loving jumpsuits such as this one by Trina Turk; which is flattering for any body-type and even has a subtle touch of detail, like this cut out in the back. What is more terrifying than Godzilla you ask? The hoodie+jean+sneakers combo seeping into the Bay Area and identifying itself as the new 'business casual'. Someone help! Wow lucky me! 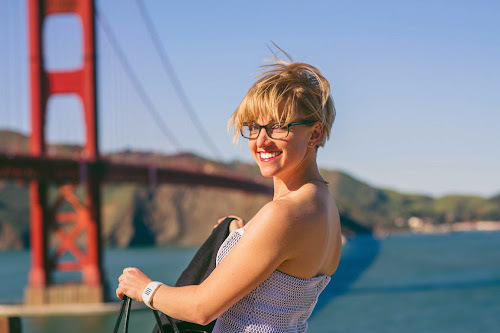 Not only do I get an exclusive interview with the founder and CEO of San Francisco based Betabrand, but I get my own guest photo-shoot with their amazing photographer, Ryan Chua. I loved trying out the trendy blush pink that is everywhere this fall (shown here and here), and as Winter and Spring approach, I really want to experiment with pinks that are a little more bold. 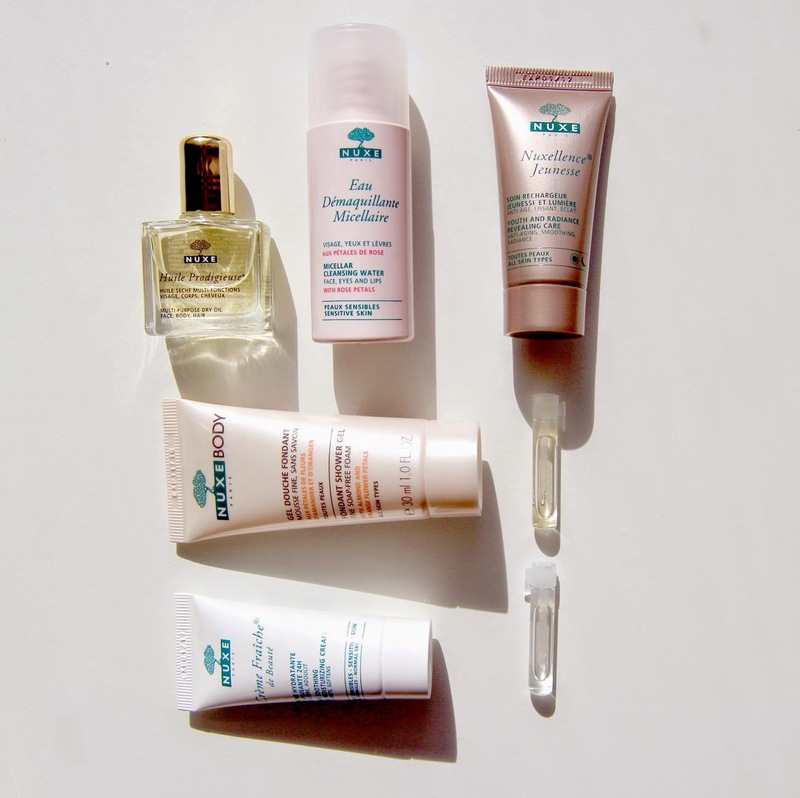 As I'm gearing up for a whirlwind of travel this month and next, among my top priorities is keeping up a healthy skincare routine. Plane rides and harsh winter air can do terrible things to your skin, but what is even worse is the harsh water that comes from pipes and filters. Since I prefer the best water for my insides, I also prefer it for washing my face and body. I've learned from a few French friends of mine that the best way to wash your face is not with tap water, but with Micellar Cleansing Water. (Pink bottle shown above). Just dap some on a piece of cotton and rub on face and neck to cleanse. The DreamForce Expo left me inspired after observing new things being done with the Internet of Everything. I am overly anxious to see and realize more of a #TrulyTangibleWeb; which eliminate as many screens, and unsustainable materials as possible to create useful things that are natural extensions of ourselves as human beings. As an attempt to bring this to fruition, I built special gloves to do just that while celebrating the weekend of Halloween and Dia de Los Muertos. What better time to experiment with electric toys and wearables? Halloween is a great time to get dressed up in something clever, and I absolutely love the way the Latino cultures celebrate the loss of their loved ones with celebrations and music.